Homerton Hospital has admitted it is becoming “increasingly difficult” to recruit nurses – as figures reveal 150 roles are currently going spare. There are around 1,300 jobs in nursing and midwifery at Homerton University Hospital NHS Foundation Trust – nearly half the total workforce. But 11.5 per cent of those – more than one in ten – are unfilled, and the hospital says recruits from Europe have “dried up” since the Brexit referendum. 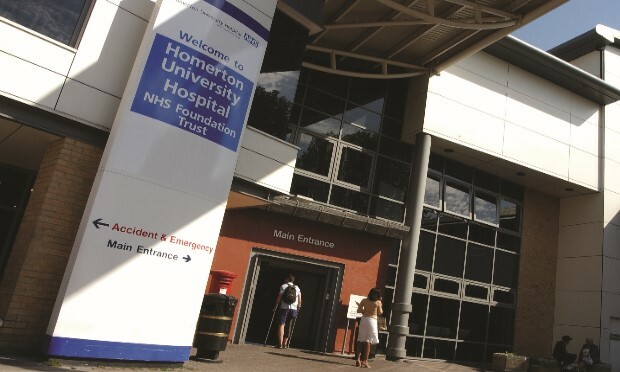 A spokesperson told the Citizen: “As with all NHS Trusts in London, Homerton faces a continual challenge to attract and retain nursing and other staff. “Nurses make up nearly half the 3,500 workforce at Homerton and are clearly the largest professional group in our Trust, as is the case in other NHS organisations. The Trust says one of its key objectives over the next few months is to “reduce the nursing turnover”. In the last five years, 815 nurses have left the Homerton, with 749 coming in. The spokesperson added: “A recent recruitment drive involving open days and visits to job fairs has seen the Trust recruit 65 nurses, several of whom are newly qualified or about to qualify. “Efforts have also been made to recruit nurses from abroad, and during 2018 we are aiming to recruit 50 new nurses from India and the Philippines to take up roles at the Trust. The hospital says it is working on a number of new retention initiatives, which will “focus on career development and progression”, particularly for junior nurses. It is also looking at introducing “greater awards and recognition for staff”, and more opportunities for flexible working. Asked what impact Britain’s vote to leave the EU has had on staff turnover, the hospital spokesperson said “certainly new recruits from Europe have dried up”. They added that senior figures at the Trust have voiced concerns “at the highest levels” that “continuing uncertainty” over the future of EU workers post-Brexit is having a negative impact on their staff. The spokesperson also confirmed that no-one at the Homerton is on a zero-hours contract.